Ram has a pretty diverse lineup. They offer light- and heavy-duty trucks, chassis cab trucks, and two types of cargo vans. Of all their trucks, the Ram 1500 is one of the most popular due to its versatility and customizability. 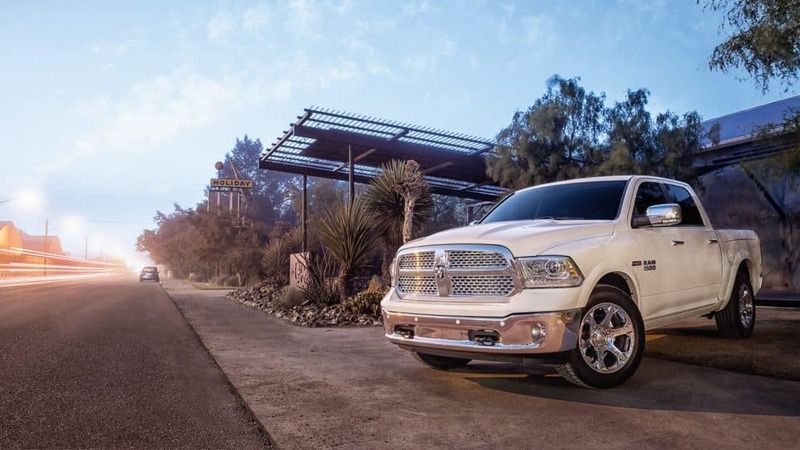 Built for a variety of needs, the Ram 1500 is everything from a great work truck, to a comfortable family vehicle, to a dependable daily driver, and here are some of the ways buyers can customize their truck to meet their needs. The Ram 1500 is available with the option of two-wheel-drive (4×2) or four-wheel-drive (4×4). Most Ram trucks can be either or, but transmission configuration may change the amount of available trims and cab size, as well as bed length. The Ram 1500 is available with three cab configurations, a crew cab, quad cab, or regular cab. Note that all of these models (not every trim, however) may have the option to add a 40/20/40 split bench seat to make room for another passenger, or use as an armrest when folding the middle (20) section down. -Regular Cab – Offers seating for two passengers, 39.9” of head room, 41” of legroom, and 66” of shoulder room (from one side of the vehicle to the other). -Quad Cab – Offers seating for five passengers, 41” of head room in the front, 39.7” of head room in the rear; 41” of leg room in the front, 34.7” of leg room in the rear; the shoulder room from side-to-side is 66” in the front and 65.7” in the rear. -Crew -Cab – The crew cab is the largest cab Ram offers. Offers seating for five passengers, 41” of head room in the front, 39.9” of head room in the rear; 41” of leg room in the front, 40.3” of leg room in the rear; the shoulder room from side-to-side is 66” in the front, 65.7” in the rear. Ram has three available bed lengths for their truck beds, and not all bed lengths are available on each cab size. 6’4” bed are available with any cab configuration. 8’ truck beds are only available on regular cab configurations. 5’7” truck beds are only available on crew cab configurations. Trim availability varies depending on the truck’s configuration. Below is a list of all the trims available on each configuration. Want to learn more about the Ram 1500? You can find more about a new Ram 1500 in our inventory.